Soon, the PAX West show will return to the Seattle city for 2018. 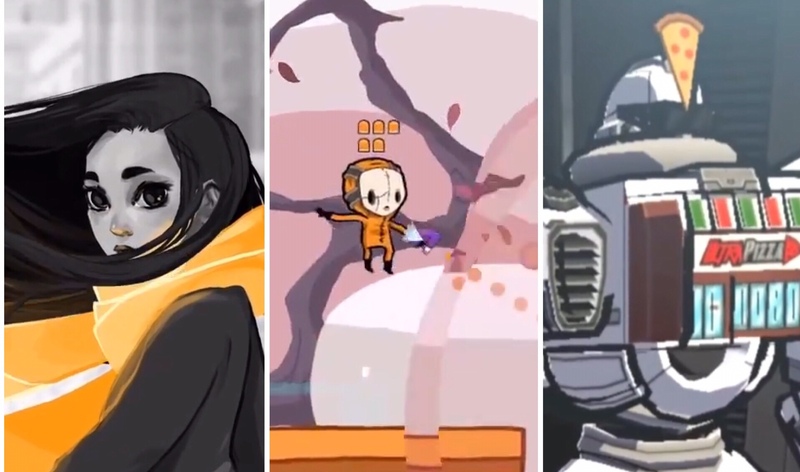 And within, are some new gems from this year’s PAX 10 lineup. The PAX 10 is an annual list of industry chosen new indie games, earned approval as worthwhile to check out to all gamers. These interactive works add fresh and innovative elements in gameplay, have an interesting style, fun and sometimes weird. For both the PAX West and East shows, attendees can demo these games, with the developers usually present. Each annual list is special and inspirational for new upcoming talent, showing you need not big company brands to impress potential gamers. Just keep the player engaged with something original, engaging and fun. Others will notice. Personal Thoughts: The art style is beautiful and comic book cell-shaded. The overall feeling is a bit visual overload, but maybe that’s part of the fun. Personal Thoughts: This looks trippy as hell, and could be more involving as a VR title. Personal Thoughts: Looks very polished, with a lot of added potential for VR. Personal Thoughts: I love this ridiculous premise, where Crazy Taxi meets Gundam. The mech designs are awesome. Personal Thoughts: A beautiful, story-driven game, where the play and progress is the exposition, driven by exploration and survival. As a big fan of the classic Shadow of the Colossus game, this excites me. Personal Thoughts: An interesting concept, which I think I would need to test before getting too involved. Personal Thoughts: This looks fun. I like when RPG elements gets mixed into other genres. Personal Thoughts: I like the customization feature, and would play it just to see what others would come up with. I like the style too, and hope there is a good story with that too. Personal Thoughts: An interesting idea this is. I like it, but would need the right kind of person with a good attention span to take this seriously. Personal Thoughts: Cute and weird, which the games industry can never have enough of. A game like this would work well in a video arcade cabinet, and I would spend the quarters for it.